We’re proud to be sourdough pizza pioneers. We love our food, and want to work with people who do too. We develop teams who welcome everybody and are full of personality, and build their careers with us. Area Chef Rafa has been with Franco Manca since we opened in Brixton Market in 2008. 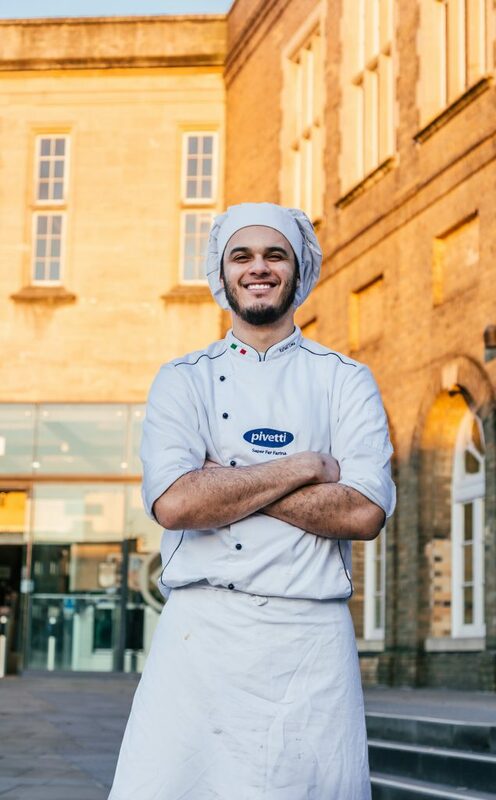 Having worked his way up from a Kitchen Porter, he now looks after the pizzaioli teams in 8 of our pizzerias, and has worked across 34 Franco Manca pizzerias. Rafa first started working for us just after Giuseppe Mascoli opened the first Franco Manca. “At first I needed a job as I was quite young, and had just arrived in London. I didn’t have any experience working with pizza so I started to work as a kitchen porter two days a week”. After a couple of months, Giuseppe decided it was time for Rafa to start learning how to make our sourdough pizza. “At the time, I didn’t speak much English and could barely understand what he was saying. It turned out he’d spoken with the Head Pizzaiolo about training me up, which is when my journey at Franco Manca really started to kick off”. 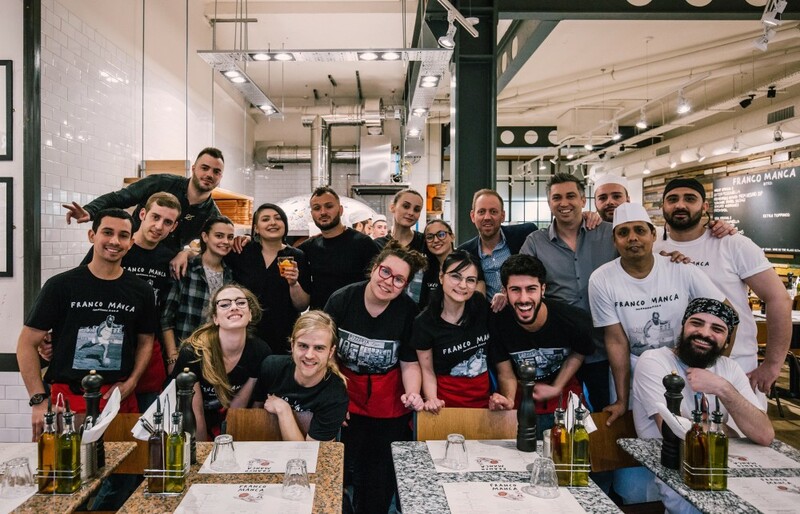 11 years later, Rafa is one of the longest standing members of the Franco Manca family. 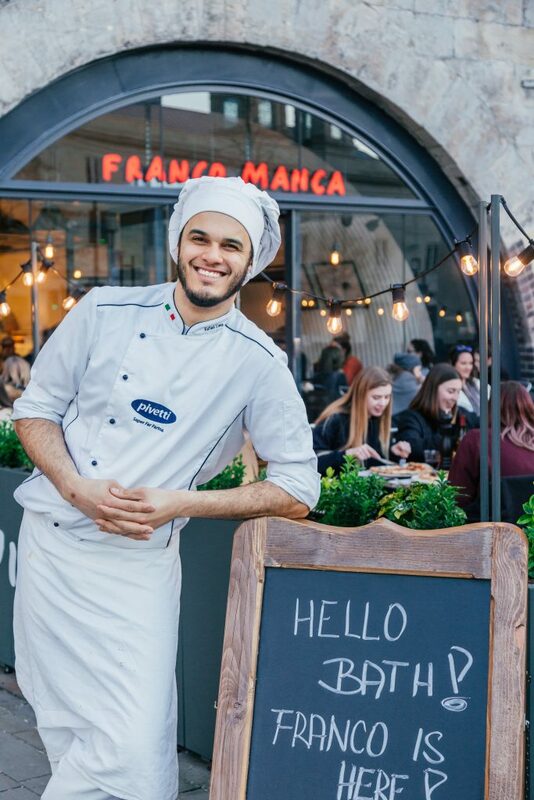 He says the best part of working for Franco Manca is ‘the opportunity to learn new things, improve my skills and the chance to meet new people from different backgrounds and cultures’. We welcome everybody, and pride ourselves on being able to offer this experience to our teams. Lastly (but most importantly) we asked Rafa what his favourite pizza is. “I love cheese and at the moment it is a pizza with a touch of organic tomato, wild boar mortadella cooked, loads of basil, Colston Basset stilton, Cantarelli grana and aubergines”. Look out for our daily specials, or if you see Rafa in one of our pizzerias, ask him to make it for you!